There comes a moment in life, where fast-paced work like marketing communications holds a certain anxiety to it and you wonder, “how am I going to get through this day?” It’s the impending list of to-dos that hits you when the elevator doors open leading to your office. How does one reclaim their momentum when this feeling begins to surge? It is from tapping within and from reminding oneself what made you fall in love with your career in the first place. A couple of weeks ago, I found myself at this juncture and decided to take a trip to Washington D.C., where I knew I would be surrounded by good times and lasting memories. 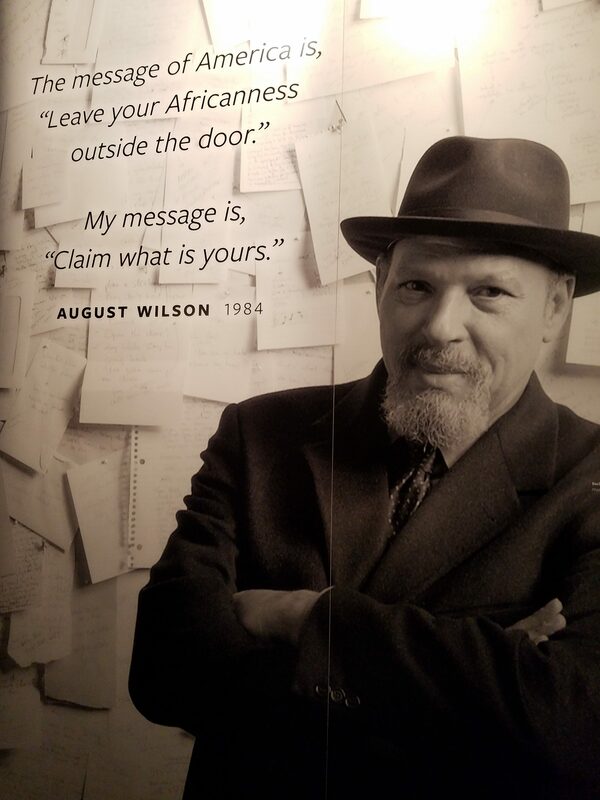 I specifically chose this area so I could enjoy the newly opened National Museum of African American History and Culture. Along with my friends, we walked through the doors into what would be an experience I will never forget. All around me was my culture: beautiful, bronzed, all creeds, walks of life and hues. ‘Proud, happy, and aware’ that we were standing in this one collective moment where our past crosses our present and pushes us towards our future. For too long, we all have had to fight the imagery that is wrongfully cast upon us- that African Americans and their minority counterparts are fractured and incapable of unifying. Well, I saw the silent response to that lie as I waited to begin. The tour started down on the lower level. As the doors open, you are no longer yourself but you are compelled to see life as our ancestors lived in the 1400s. There is power here- so many artifacts, and testimonials. Pictures of people who seemed to look at me with an intensity that gave me chills. I could hear them whispering “hear my story and learn from my truth.” There was no point of reference for how it felt to look at the chains- chains that held babies, women, men, children and the elders. To see planks from a slave ship wreckage, and to know that for those who survived, it was the literal testament to the strength of the human spirit, and its determination not to die. As you rise from the lower level, you discover that each floor represents a different time period for the African American experience. There were so many experiences and “aha moments” but nothing moved me as much as the recreation of the funeral service for Emmett Till. This moment in history has always stood out to me because my father was 20 years old when this lynching occurred. As a born and raised Chicagoan, he told me how he felt, standing in line for hours, as he waited to see his body. He described the sights and the sounds of women and men wailing at what was inside Robert’s Temple Church of God, on 40th and State Street. I always tried to envision what it would have been like to wait for more than five hours and feel the emotions rushing through his body as he got closer to the casket. No matter how many times I asked him to tell me the story again, it never failed that by the end of it there were tears in his eyes. Sixty-one years later, I stood alone, sharing this single moment. To touch time and make it stand still; you can’t give a moment like that justice. I still don’t think I fully comprehend what happened to me. By the time the Museum recording blared through the loudspeaker that, “the Smithsonian was now closed,” I contemplated stowing away somewhere, but quickly dismissed the idea. As everyone spilled out into the street, I turned to see this temple glistening in the afternoon light. It’s too sacred to be called a museum because for anyone who walks into this space, you will touch the essence of my people. You will hear their testimonies, their good days and their bad days, the moments that threatened to kill them, the joy and the flair, the kick, and the pride. You will laugh, you will cry, you will feel anger, you will be confused and shocked. You’ll feel pain as well as euphoria, but most importantly, if you get the opportunity to visit, maybe, just maybe, you’ll truly comprehend the blood that flows through your veins, and you’ll be ready to do more than attack your work day. As communicators, you’ll embrace the immense responsibility of creating messages and campaigns that accurately reflect and reach communities of color. And with that approach, you’ll change the world. 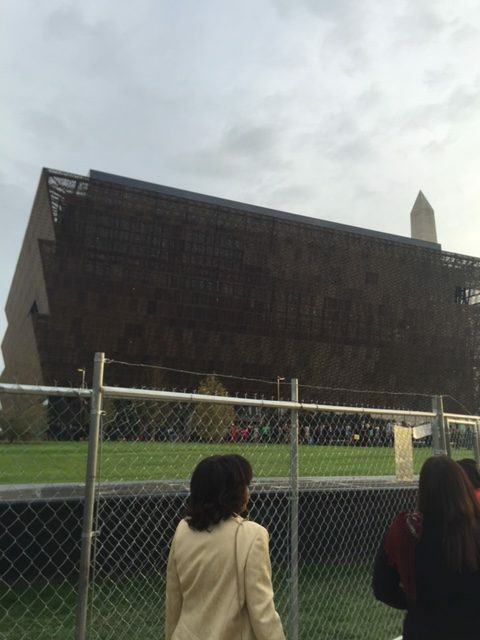 Posted on November 3, 2016 | By FCG	|	Leave a response | Posted in Communications, Diversity, Multiculturalism, Public Relations/Marketing, Trending Topics, Uncategorized	| Tags: National Museum of African American History and Culture, Washington D.C.